The best tip for eating lunch in a new city when traveling anywhere in the world is to find the hole-in-the wall spot where the locals eat. You know the place – it’s low on atmosphere but the locals are lining up out the door, the food is delicious and the prices can’t be beat. While I wouldn’t exactly call massive blue tents on the side of the freeway a hole-in-the-wall location, Tito’s is that gem of a local’s spot that I am thankful I discovered. 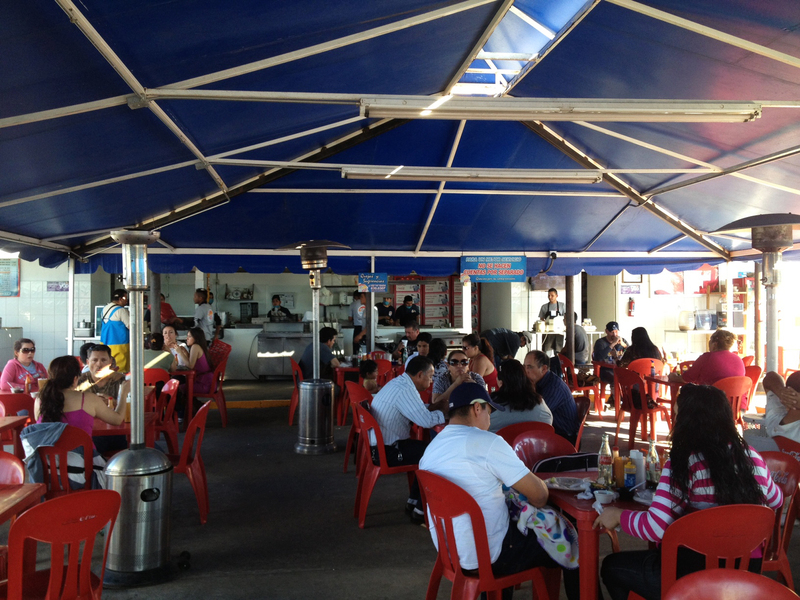 The place is always teeming with people, the food is fresh and fast and the value is incredible. Anywhere I can pop in for lunch to get two huge, tasty tacos and a Diet Coke for under $3 is automatically a place that I love. 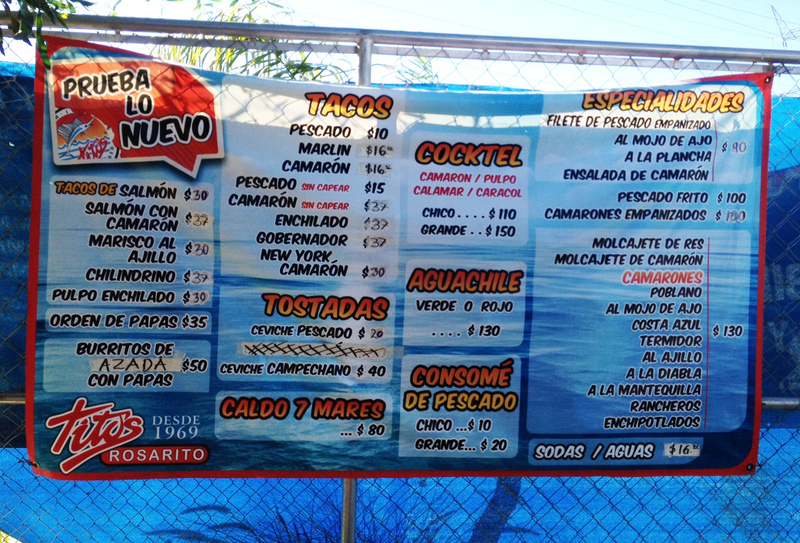 The fish tacos are 10 pesos. That’s under $1 and I have never seen larger fish tacos anywhere. Sometimes you have to remove pieces of fish from the taco in order to even take a bite. One taco is probably a full meal for many people. 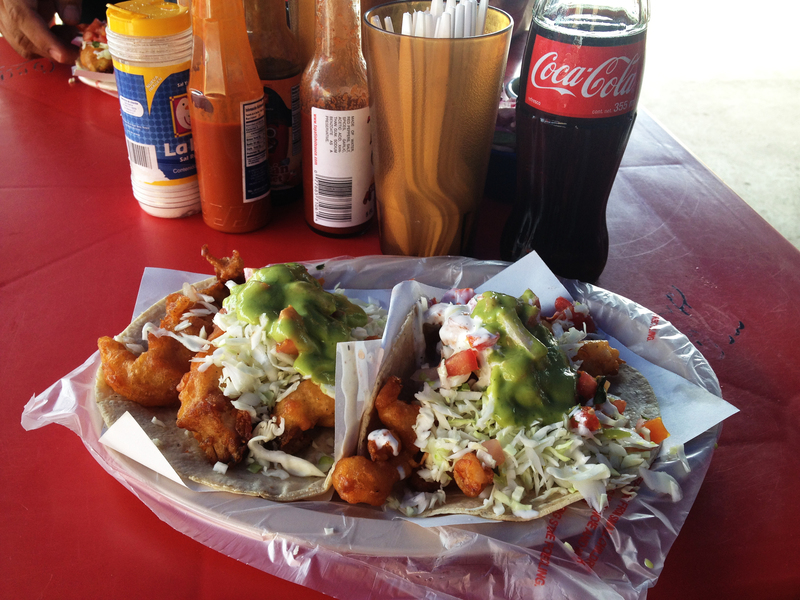 They have other seafood items on the menu, but to be honest, I never stray from the tacos since they’re so scrumptious. 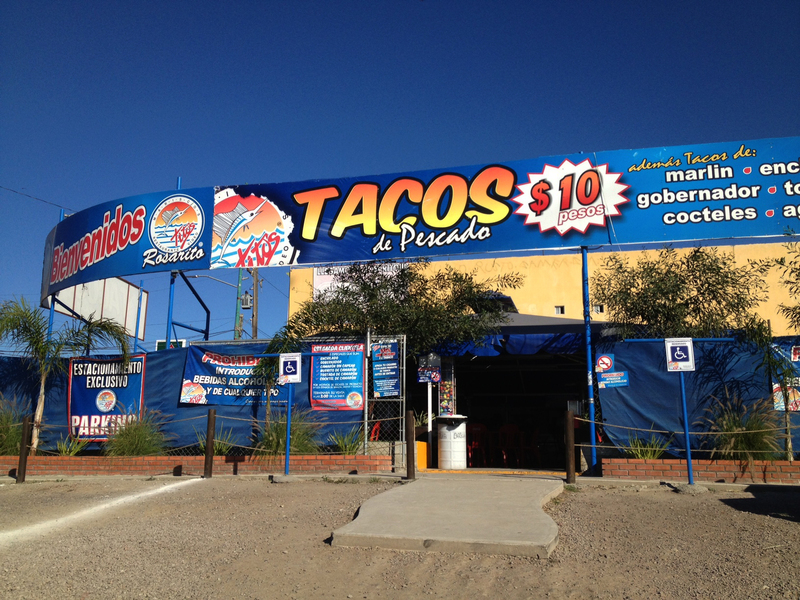 There are locations in Tijuana and Playas de Tijuana as well as my hometown location in Rosarito. 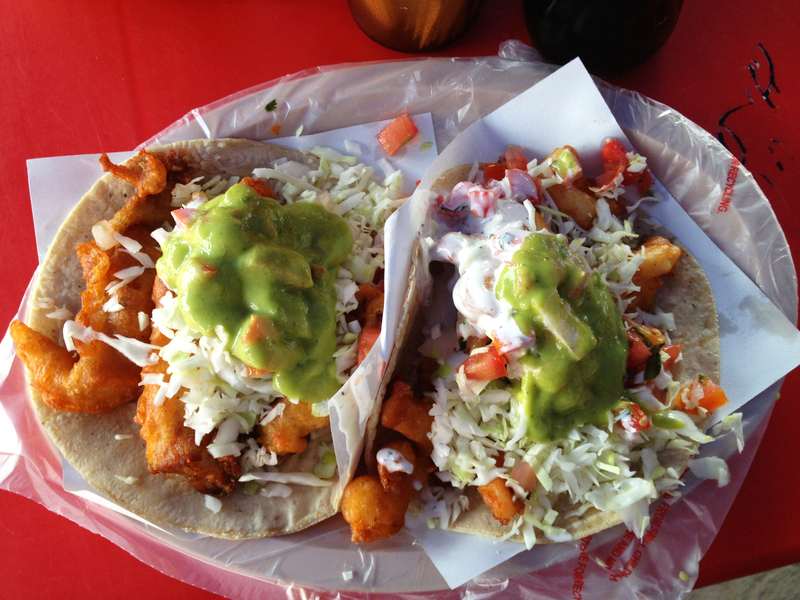 This entry was posted in Baja Eats, Rosarito and tagged Baja, Baja California, Fish Tacos, Mariscos Titos, Mexico, Rosarito, Rosarito Beach. Bookmark the permalink.